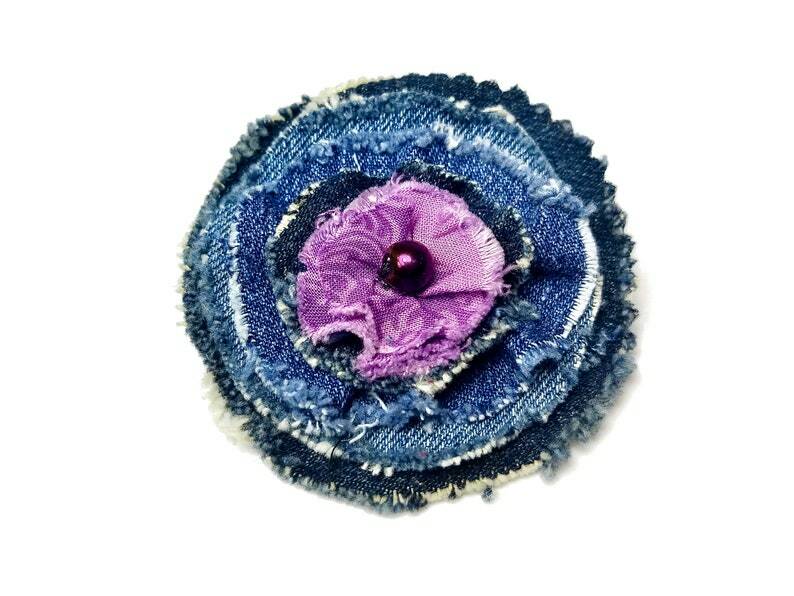 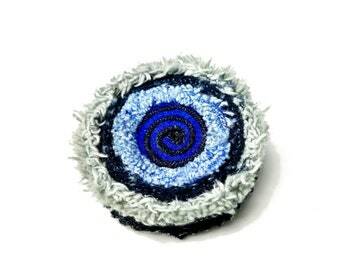 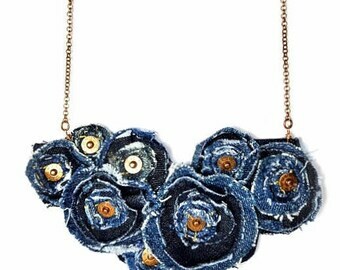 Purple and blue poppy flower brooch made with scrap fabric, denim and a glass bead in a chic shabby Boho style. 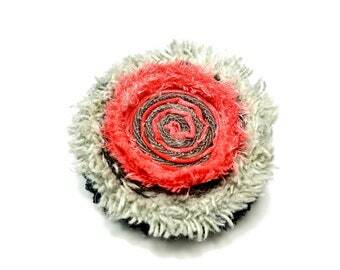 Flower brooch is 2 3/4" and will be perfect for jean jackets, spring cardigans or even attached to a purse or bag! 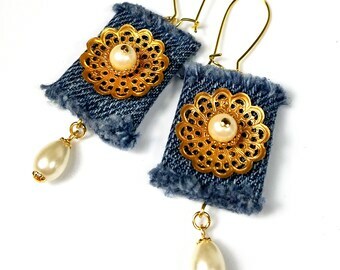 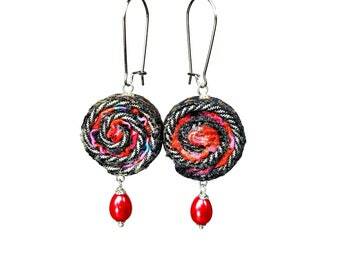 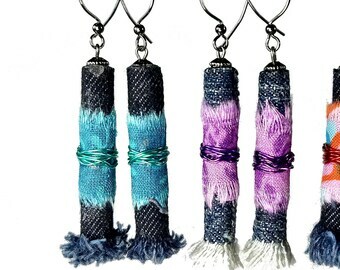 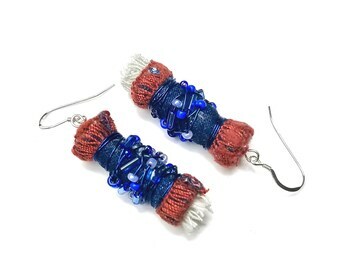 Make a special handmade gift for a woman.